As a former DRE, problems and strategies relating to the Rite of Christian Initiation for Adults (RCIA) have always been close to my heart. In previous posts we have featured RCIA horror stories and thoughts on teaching RCIA. 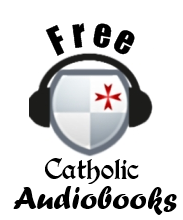 And of course, the Unam Sanctam Catholicam website has been offering free RCIA lesson plans for over two years. In light of the many issues relating to RCIA, folks have asked me over the years about possible alternatives to RCIA. What sort of leeway do we have in the modern Church to stray outside the current norm when it comes to initiating converts into the Church? What other alternatives are there for receiving people into the Church other than RCIA? First of all, it must be noted that there is really no legitimate way to "get rid" of RCIA. The Rite of Christian Initiation for Adults is mandated from the highest levels of ecclesiastical authority and there is no Diocese in the West where it is not pushed by the local Ordinary. Attempts to abolish or ignore RCIA will be met with stern resistance from even the most traditional minded bishops. That being said, there is nothing prohibiting pastors from using their own discretion to bring persons into the Church in unconventional applications of the norms. Thus, we are not talking about something to replace RCIA, but other non-conventional ways of adapting it to parish life that are better or more closer to tradition. These sorts of adaptations and options are allowed in the current legislation - and Lord knows how the modern Church loves options! All we are told here is that it should be gradual and take place within the "community", which judging by the context of the document, means that the stages of initiation should be celebrated liturgically. Here we are simply told that there should be "catechesis"; presumably the how, when and why of this is left to the discretion of the pastor. "During this period, a more intense spiritual preparation... is intended to purify hearts and minds by the examination of conscience and by penance" (25). What does "more intense spiritual preparation" and the purification of "hearts and minds" look like concretely? Again, what does it look like to help the neophyte grow in "perceiving more deeply the paschal mystery"? "[A] period of postbaptismal catechesis is of utmost importance" (39). Again, we are simply told that there ought to be catechesis but what it should look like is left up in the air, presumably to be adapted to the needs of each community and even individuals seeking entrance into the Church. The point is that there is no fixed formula for what RCIA is supposed to look like, and the document itself states that part of the Council's vision was the "adaptation to local traditions" of the process of initiation. Therefore, we are on very solid footing when we suggest that RCIA need not look like the beast we have come to know it as, with weekly classes, RCIA "teams", lame reflections on the readings, service projects, etc. The contemporary experience we have come to know as RCIA is simply the method most parishes, following the USCCB, have adopted for implementing the directives of the RCIA document. But it need not be so, and there are viable alternatives. First, let us look at the Traditional way. 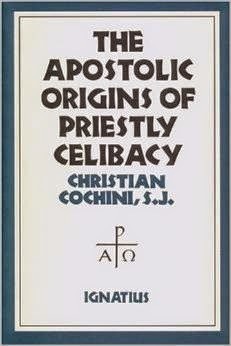 In the pre-Conciliar days, reception into the Church was a very private affair. A candidate would meet with a priest who would examine his motives and remind him of the responsibilities of becoming Catholic. if the candidate had no objections and cleared this first stage, he would begin to "take instruction" as it was called, which consisted of weekly meetings with the priest who would instruct him in the basics of the faith whilst continuing to assess and candidate's spiritual state. After an indeterminate amount of time - maybe six months, maybe two years, depending on the candidate - a small Mass would be said at which the candidate would be received into the Church. It could be at any time of year and was often on a feast day chosen by the candidate. The Mass was usually a daily Mass, small, and attended mainly by family and friends invited by the candidate. Note the very appropriate union between the intellectual and the spiritual. The candidate is instructed by a priest who is capable of both instructing and assessing spiritual problems - and vested with the authority to take remedial action in either if need be. How different this is from the lay-dominated RCIA program today, where the layman teaches but with no competence or authority to judge the spiritual readiness of a candidate, nor the moral or canonical authority to rebuke the scandalous. For example, in the old days, if a candidate was cohabiting with a female, the priest giving instruction would have full authority to deal with the issue. But now, what happens when the layman RCIA director finds out about some scandalous behavior? He usually does not have the authority to kick the offender out of the program, nor the wisdom to really assess the spiritual state of the individual. At best he can quote Church teaching to the offender and pass the complaint on to the priest, who now must intervene, learn the facts, and make a determination in a situation he has just been briefed on about a person he has probably not had the opportunity to get to know personally. We can see at once that from a pastoral perspective, the pre-Conciliar practice was much sounder. 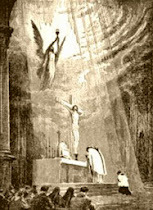 The great thing is, under the current legislation, this sort of initiation is still permissible, so long as the various liturgical rites are celebrated (the vast majority of these rites are made optional in the adaptations of these norms by the episcopal conferences and many are movable - for example, see #53 in the RCIA document on "pastoral reasons" for transferring presentation of the Creed). A pastor with the willingness can still require this sort of individualized initiation - of course, it takes more of the pastor's time and is much more involved, but the formation would be undoubtedly better. Another alternative would be to have a regimented reading program with less face to face meetings. Instead of weekly meetings with the priest, a monthly book list assigned by the priest, with only a meeting at the end of each month to confirm the candidate's understanding of the reading material and offer further clarifications. I personally helped some folks come in to the Church in this manner. At other times, a priest may not need to give much catechetical instruction. This is often the case when a very well-educated person "reads" themselves into the Church. In such cases, it is necessary simply for the pastor to assess his level of knowledge and then to ensure that a sufficient time of spiritual preparation is undertaken before reception. It need not be long. Sometimes the Holy Spirit has done all the work and it is simply the job of the pastor to stand aside and admit the individual. It is presumptuous to think that every person - no matter what they have learned and no matter how the Spirit has prepared them - is in need of a 9 month class. Sometimes a person is ready and the pastor just needs to give them a little bit of spiritual preparation. One other option is to do the instruction entirely in a liturgical context, in the form of a series of homilies. This was a common practice among the Church Fathers. Instead of saying, "Be here for RCIA class every Thursday night at 7:00pm," tell them, "Be here for Mass at 7:00pm," and then incorporate the RCIA catechesis into the homily every week. This way the catechesis is delivered, the spiritual man is nourished, and the catechumens are trained in going to Mass regularly - which of course they should already be doing. My point is that we need not feel that 9 months of classes taught by a lay person - or worse, a "team" of them - is the only option under the current legislation. So long as the main liturgical rites are observed, a pastor is free to come up with any sort of arrangements he wishes. And it is the position of this blog that pastors ought to do so. Today we honor the revered memory of undoubtedly the greatest, saintliest and most visionary pope of the modern age: Giuseppe Sarto, St. Pius X, whose glorious pontificate came (1903-1914) came to a close one hundred years ago today. When I first set up the current incarnation of this blog back in June of 2007, I really had no clue what sorts of graphics or images would work. In fact, I wasn't even really sure what my vision for this blog was or what I wanted it to grow into; at the time I just wanted a platform to vent my anger about Haugen-Haas music and complain about the lack of Latin in my diocese. I had no idea there was a 'traditionalist' movement out there, had very little knowledge about what the Traditional Latin Mass was, and was certainly not aware of a traditionalist blogging community. Not knowing what I was trying to express, I defaulted to a powerful symbol - that of Pope St. Pius X. I was not sure what I was feeling or what I wanted this blog to be, but it all seemed to be summed up in the image of the great pontiff, whose picture I found and lovingly placed on the right sidebar with a citation from Lamentabile Sane, the great syllabus of Pius X. And there that image has remained for the last seven years, still a very fitting symbol of everything this blog and its sister site stand for. 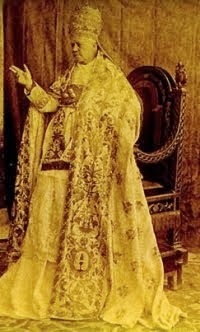 There are many things praiseworthy about Pope St. Pius X. Indeed, he is not the patron pope of traditionalists simply because he is pre-Vatican II or because he had some wonderful insights about the dangers of modernism. This pontiff was truly saintly, and not only in his personal life, but in the manner in which he conducted the papacy and wielded the office entrusted to him. In other words, with Pius X we need make no distinction between his "personal holiness" and his conduct as pope. The two are beautifully synthesized in the person of the great pontiff. It is beyond my skill and available time to present a comprehensive biography of Pope St. Pius X, but I would like to offer a few observations about why he was such a praiseworthy successor of St. Peter. "We cannot give approval to this movement. We cannot prevent the Jews from going to Jerusalem—but we could never sanction it. The soil of Jerusalem, if it was not always sacred, has been sanctified by the life of Jesus Christ. As the head of the Church I cannot tell you anything different. The Jews have not recognized our Lord, therefore we cannot recognize the Jewish people"
"Yes, but we, and I as the head of the Church, cannot do this. There are two possibilities. Either the Jews will cling to their faith and continue to await the Messiah who, for us, has already appeared. In that case they will be denying the divinity of Jesus and we cannot help them. Or else they will go there without any religion, and then we can be even less favorable to them. The Jewish religion was the foundation of our own; but it was superseded by the teachings of Christ, and we cannot concede it any further validity. The Jews, who ought to have been the first to acknowledge Jesus Christ, have not done so to this day." The rest of the interview is available online here. Can you imagine a modern pontiff speaking with such clarity to the Jews about the necessity of embracing the Messiah and the Church He founded? Can you imagine any modern pontiff speaking such straight forward, lucid terms as "the Jewish religion...was superseded by the teachings of Christ and we cannot concede it any further validity"? Interestingly enough, if you click on the above link and continue to read the reflections of Theodor Herzl, he speaks about the great respect he had for Pius. Pius X was also master at identifying the root causes of problems within the Church and the world. This is especially evident in his treatment of Modernism in the encyclical Pascendi. It might not seem evident that this is such a difficult task, but remember how varied and far-reaching are the heresies of Modernism. The Modernist heresy encompassed liturgy and history, philosophy and Scripture study, ecclesiology and spirituality, theology and music. A less astute theologian might have been tempted to see these as multiple, heresies, diverse and unrelated. After all, what commonality is there between a liturgist pushing for incorporation of more patristic elements into the Mass and an Old Testament scholar of the historical-critical school? Or what concord hath the progressive Catholic philosopher who rejects Thomism and the cleric laboring in the Pan-Christian movement? 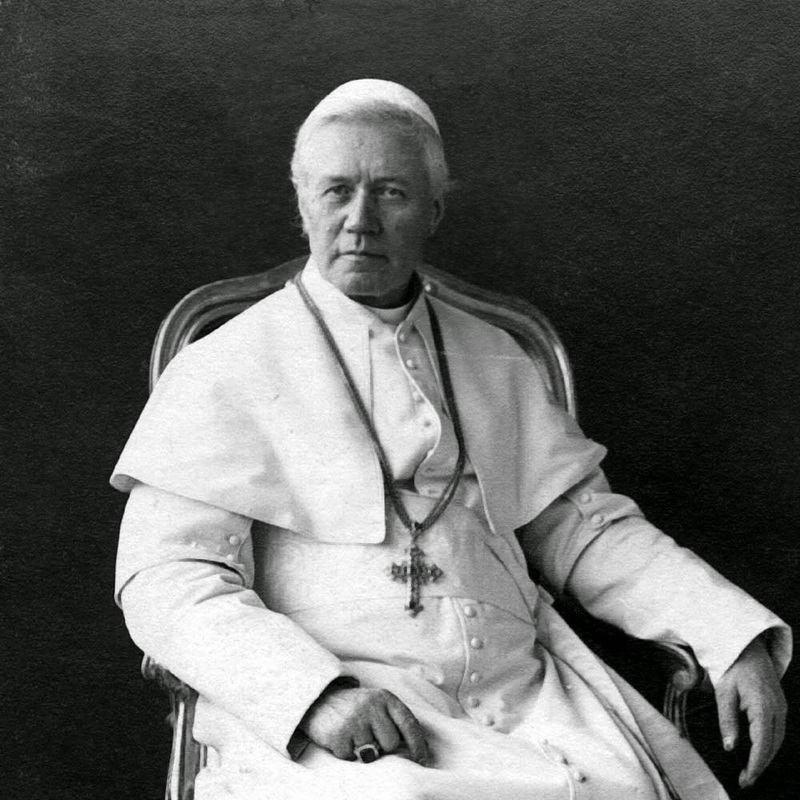 It took the particular genius of Pope St. Pius X in Pascendi to identify the common factor that drew these trends together and made them not only a heresy, but the synthesis of all heresies: that factor was what Pius called vital immanence, which essentially means that the objective data of revelation is beyond the capability of man's reason; all man can grasp are the impressions or internal effects of this on man, with the consequent that religious experience trumps religious truth and spirituality becomes a purely subjective reality. This synopsis of the Modernist heresy was so spot-on and so thorough that Modernism throughout the Church went into hibernation to lick its wounds for several decades. "All these prescriptions and those of Our Predecessor are to be borne in mind whenever there is question of choosing directors and professors for seminaries and Catholic Universities. Anybody who in any way is found to be imbued with Modernism is to be excluded without compunction from these offices, and those who already occupy them are to be withdrawn" (Pascendi, 48). 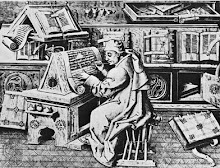 "For the future the doctorate of theology and canon law must never be conferred on anybody who has not made the regular course of scholastic philosophy; if conferred it shall be held as null and void" (Pascendi, 49). He not only expresses his will, but mandates it and threatens to nullify degrees conferred in disobedience of his will! He orders bishops "to do everything in your power to drive out of your dioceses, even by solemn interdiction, any pernicious books that may be in circulation there" (ibid., 51); clearly Pius believes pastoral admonitions are insufficient if not followed up by firm action! He institutes the Oath Against Modernism to root out heretical tendencies from the clergy on pain of sin, and establishes "Councils of Vigilance" within each diocese whose sole purpose is "noting the existence of errors and the devices by which new ones are introduced and propagated" and to make recommendations to the bishop on "the best means for suppressing the evil at its outset" (55). 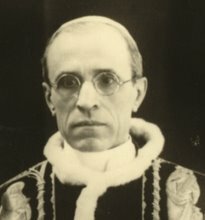 Unlike modern bishops and pontiffs who identify errors in only the most cautious of terms and then throw up their hands when it comes to taking action, Pius took vigorous action, right down to the diocesan level, to make sure that Modernism was rooted out and that life in the Church was made very difficult for Modernists. 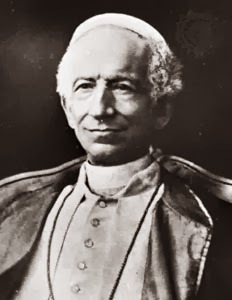 "In 1867 he was named arch-priest of Salzano, a large borough of the Diocese of Treviso, where he restored the church, and provided for the enlargement and maintenance of the hospital by his own means, consistently with his habitual generosity to the poor." While Bishop of Mantua he distributed copies of the Summa to poorer seminarians at his own expense and took care to see that all seminarians were formed in Scholastic theology and Gregorian Chant, for which he had a particular love. As Cardinal of Venice, he held a synod in 1898 for the promotion of Gregorian Chant - something he would later mandate in his motu proprio Tra le Sollecetudine - and promoted cooperative rural banks in accord with the social teaching laid down by Leo XIII. To Pius X we also must attribute the consolidation of the Church's canonical tradition which led to the great 1917 Code of Canon Law. In every way a model of holiness, clarity, zeal and vigorous action against the enemies of the Church and in promotion of the Kingdom of Christ. St. Pius X, pray for us! 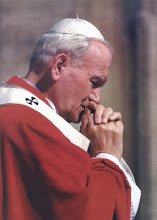 "It is impossible to approve in Catholic publications of a style inspired by unsound novelty which seems to deride the piety of the faithful and dwells on the introduction of a new order of Christian life, on new directions of the Church, on new aspirations of the modern soul, on a new vocation of the clergy, on a new Christian civilisation. Language of this kind is not to be tolerated either in books or from chairs of learning" -Pope St Pius X, Pascendi #55. In the past, when I have listened to Venerable Fulton Sheen, he has made me laugh, weep, sit on the edge of my seat, filled my heart with compunction and hope, but on a few occasions he has also made me cringe. 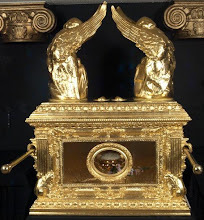 One of those occasions is his jab at St Bernards 12 steps of humility, which he seems to hold out to a brief ridicule for its complexity, or technical nature before he starts to expound upon the simplicity and beauty of St Therese’s Little Way. If there is anything more cringe-worthy than this straw man of Venerable Fulton Sheen (whom I still love) today, it is hearing people talk of humility. In a world where pride in sin is held out as the highest of virtue, talk on humility comes across as less than cheap. If a person gets the wrong idea of what humility is, then he may lose the ability to humble himself before God. Lets look at what St Bernard says. Silliness: excessive merriment and laughter. Conceit: expressed in too much talking. Eccentricity: loving ones singular conduct, often trying to attract attention. Self-assertion: believing (and seeking to become) more pious than others. Presumption: believing oneself to be capable of doing anything. Defense of oneself in wrongdoing. Bad Confession: especially lying to avoid punishment. Rebellion: flat-out refusal to obey the rules. Liberty to sin: a person who sins freely but is still restrained due to the fear of God or other habits of virtue. Habitual transgressor: going straight to hell and nothing is slowing you down. In addition to St Bernard’s teaching on humility, there is also an article on Unam Sanctam’s core website on humility in your state in life. Knowing the 12 steps are very helpful practically, this article explains how the abandonment of understanding our place in society has greatly injured our ability to make the appropriate acts to grow in humility. One of the interesting things in St Bernard’s work which you can download or listen here on Audiobook for free is that he does not exhort us to not notice pride in others or explain it away. If we enable our neighbors pride by praise or puffing him up we only accelerate his downfall. These admonitions are connected with the correction of our own lives. If we find that excessive speech irritates us, let us resolve to not speak excessively; or if someone is boastful of their good works, let us make all the greater effort to hide the good that we do. The violence that it takes to overcome these faults will perhaps give us a greater ability to bear with our neighbor; he suffers these evils because to overcome them is difficult and the world is never short of the pride of life: vulgar displays of conceit, eccentricity, defense of evil-doing, breaking the rules, etc. Yet, if we look in the memory (in humility) we will find in ourselves these things, and even if we have rooted out every evil in us (who would be so presumptuous to make such a statement?) we still have our past sins when ascending from pride to humility. "With evolution, it's much easier to explain that all animals are related to each other, especially when we see the genetic evidence corroborating the degrees of physiological variance from one species to the next. For the critical thinker, accepting special creation as true would require an explanation for the evidence we see that contradicts it. Evolution explains what we are seeing. Special creation contradicts what we are seeing, and on such a grand scale that if it is false evidence, the only thing powerful enough to put it there is God himself. So if special creation is true, one must necessarily come to the conclusion that God has actively placed false evidence in the way to throw us off on the wrong course, presumably as a test to see if we will believe what the Bible says as opposed to what we can objectively measure. But it then begs the question, if God can distort all of reality to test our faith, if He is really willing to lie to us in his creation to get us to have faith, how then can we place any hope in what the Bible says as not being likewise a lie from God? There are just too many logical conundrums for a person to accept that are tied to special creation." I was recently debating with friend about this - a good Catholic man who nevertheless has allowed modern ideas to soak in a little too deeply on certain subjects. He was saying that God could not have created the universe by special creation because the light from some of the stars takes billions of years to get to earth, which presumed an evolutionary time-span for the origin and development of the universe. I objected that God could have created the universe instantly with the light en route, such that all the light that was necessary was created exactly where it needed to be without having to actually traverse that distance. My friend countered by saying that this would make God into a "liar" because all our empirical observation suggests that the light has actually traveled that far and that it would be a kind of "false evidence" if the light looked like it traveled millions of light years but in fact was created en route. Would creating the light "en route" make God into a liar or constitute "false evidence"? It is my contention that it would not. In fact, to say it is begs the question, as we shall see. 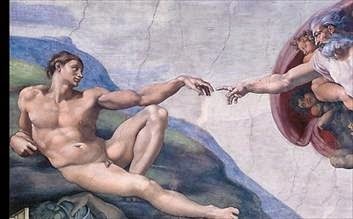 As a classic example of this, I always refer back to the creation of Adam and Eve. Tradition and Scripture are unanimous in affirming that Adam and Eve were created as adults; that is, God did not create infants, but a full grown man and woman with all the necessary perfections needed to sustain adult life. I do not know how "old" they were created to be; some Scholastics speculated that Adam was created as a 33 year old man since this was the age of perfection, based on the length of years of our Lord. Who knows. The point is, Adam and Eve were created fully formed, at least according to the Tradition. However, what would an uninformed spectator assume if he were to encounter Adam? Suppose, for the sake of argument, that you were to come walking around a corner and run into Adam only ten minutes after he was created. Having not witnessed his creation, you would look at his stature and presume him to be a man who has been around for several decades. He is tall, he is strong, he has adult teeth and perhaps a full grown beard. Yet in fact he is but ten minutes old. Furthermore, there is no way to tell the difference. Aside from the accidental fact that the newly created Adam would have not had any imperfections due to years of labor, wrinkles, etc., you would not be able to know one way or another. God created him complete, and that completeness entails every characteristic proper to a full grown man. Now, my question is this - was God "lying" or providing "false evidence" to you in creating Adam like this? Is the fact that Adam is created full grown a "deception"? Is the fact that when he is one second old he already has adult stature and adult teeth a kind of "distortion of reality"? Obviously not. It is none of that. Rather, it is simply that God willed to created Adam complete. The fact that God wills to create him complete means that he looks the same as any other person would who was born of woman. Did God similarly will to create the entire cosmos in some sort of state of completion? Looking at the light in the universe that is constantly bombarding the earth from millions and billions of light years away, can we really tell that it has actually been traveling for billions of years as opposed to being created en route not so long ago? Again, there is no way to tell the difference. We know that rivers were formed by the cutting away of rock by running water. We know that this can happen slowly over a very long period of time, but we also know that raging waters can carve a gorge over a mile long and 22 feet deep in only a matter of days (don't believe me? See here). If God wanted to create a river in a state of completion, the creative process which brought that river into existence could certainly have been quick and catastrophic, which would leave behind similar physical evidence (carving and erosion) as a slow formed riverbed. We know that God created the universe out of nothing, but we do not know what the act of creation looked like, or the acts of subcreation by which He ordered the raw matter He had brought into existence. Some of these things were created in a state of completion, others not. 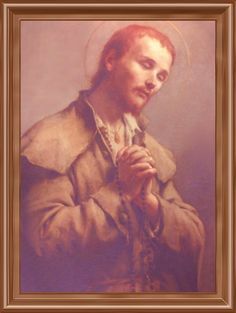 "If anyone does not confess that the world and all things which are contained in it, both spiritual and material, were produced, according to their whole substance, out of nothing by God; or holds that God did not create by his will free from all necessity, but as necessarily as he necessarily loves himself; or denies that the world was created for the glory of God: let him be anathema" (Vatican I, Session 3, Canon 1:5). When God creates the light en route, or the river already in place, or the elephant whole according to its substance, we are not seeing God creating "false evidence" as much as God creating these things in a state of completion. Now you may say that this explanation presupposes a special creation - that it is a form of question begging. Perhaps, but not any more so than the question begging implied in the rejection of the concept. To say that light cannot have been created en route presumes the evolutionary time frame, while saying that it was created en route fits with a special creation. Let us acknowledge that neither argument proves anything in the strict sense, though both offer explanations for what we see in the universe. Jimmy Akin once attempted to rebut this by stating that, while God had a rationale for creating Adam as an adult - the need for him to be able to make rational decisions and take care of himself - there existed no similar rationale for doing this with the rest of creation, and therefore theories like the light being created en route are unreasonable. But again, this begs the question by assuming that God did not will to create the components of creation in a state of completion. If God did in fact will to do so - which Vatican I seems to suggest - then the same rationale exists for God to create other aspects of the material universe in a state of completion just as He did with Adam and Eve. I know the "state of completion" argument does not solve every difficulty; no doubt many of you will post examples in the com box that do not fit with the state of completion concept. But my point here is not to argue away or explain every question relating to special creation, but merely to argue the more limited point that special creation does not "contradict what we are seeing" and make God the creator of "false evidence." To create things in a completed state is not to create false evidence any more than creating Adam as a mature adult when he is only ten minutes old is "false evidence." In many cases, we need to ask what assumptions we are bringing when we look at the universe, as well as that there may be multiple explanations for any phenomenon.